Have you ever paused to imagine your bereaved family and friends embarrassingly begging for help with your funeral and/or body repatriation costs? Obviously this is something you wouldn't want to burden your loved ones with especially when it's emotionally a very hard time for them. A funeral cash plan provides immediate cash to your family to help cover the cost of your funeral and other unexpected expenses that would mean one less thing for them to worry about at an emotional and difficult time. You can take a Single Plan or a Family Plan on which you can add children up to age of 23, parents and or parents-in-law or any other relative as long as they are under 75. Group Cover is available to Burial Sociaties, Churches, Associations and the like. The minimum requirement is that there must be 10 members and the Group should be constituted or operational before applying. Burial Societies are actaull better of converting to Group Cover where the risk of paying out lumpsums is transferred to the insurer. Protect Yourself! Protect Your Family! Protect Your Dignity! Proof Beneficiary's Identity e.g. Birth Certificate, Passport, Driving Licence, or National ID. Guaranteed Acceptance: For all diaspora Zimbabweans and their families/parents/in-laws in diaspora or in Zimbabwe aged 18 to 75. Children can be covered under family plan from birth to 23 years old. Immediate Full Cover: For accidental death and only 3 months waiting period on death by normal/natural causes. Refund Of Premiums paid less admin costs if death is due to normal/natural illness within the first 3 months. Only 3 Months Waiting Period for natural death - on reaching 3 months everyone qulaifies for US$2,500 payout, after 6 months US$5,000 and after 12 months the full cover amount. Parents added on children's policies have a 12 months waiting period. Anyone under 70 can have the policy in their own name. Free Cover: After 20 years of continuous cover or once the premium paid matches the sum insured you stop paying premiums altogether and you will be covered for FREE indefinitely. Protect Your Dignity: Don't be the subject of an embarrassing public appeal by your bereaving family. Get Your Life Celebrated: Don't be a 'double' bereavement to your family and friends – emotionally and financially. 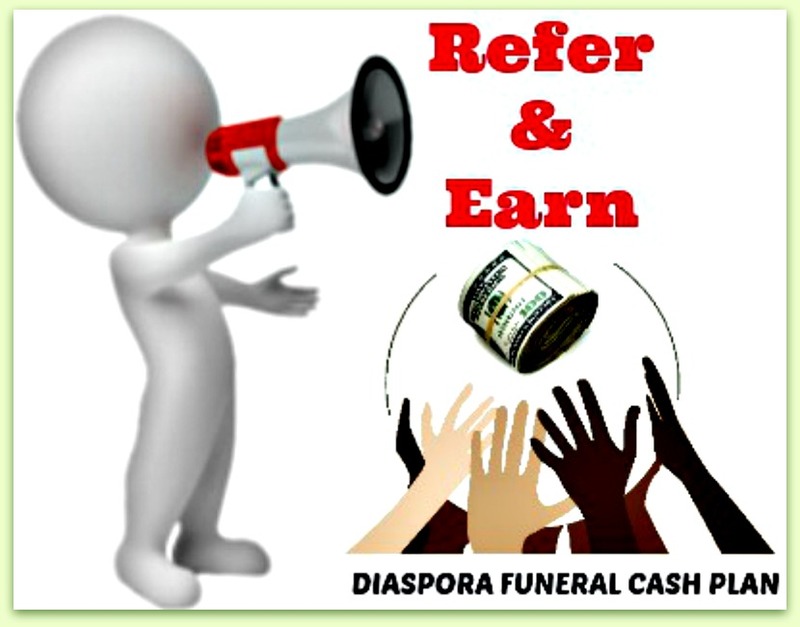 Give them a chance to celebrate your life, get a funeral cash plan. You can select a cover option that suits your needs and budget, from a $2, 500 funeral cash plan benefit through to a US$20,000 funeral cash plan benefit. You can apply for a single plan, or a family plan which includes your spouse, partner, your children up to age of 23, plus your parents and/or your parents-in-law. There is no limit on the number of financially dependent children you can include on your family plan. You can add an family member as long as they are under they age of 75.